Well the last couple days the weather has been terrible so I had no excuse but to try to catch up on things. One of which is organizing the “review/how to” section of Saltyshores. I went through the new Saltyshores, link and try to organize the reviews and how to as best as I can so it’s easier to find. There are some stuff still on the legacy website that are really good and I need to move that over as well. 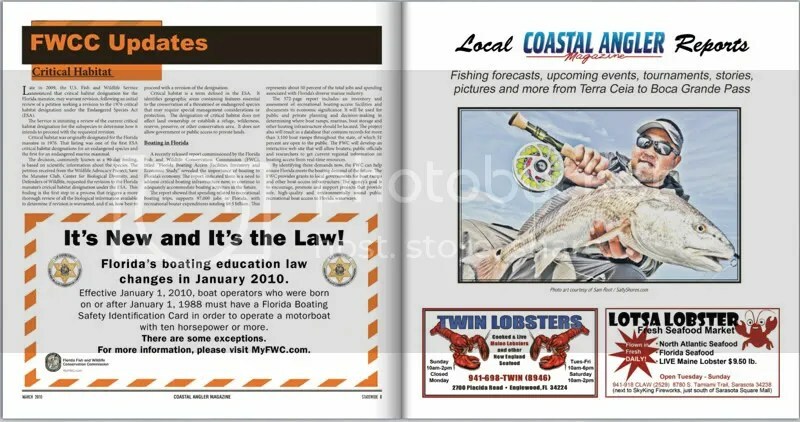 On another note my friend John Donahue got my mug printed on the local section of Coastal Angler magazine. ..woo hoo.. “I’m going to Disney world..” thanks JD! If you guys didn’t know it CA, along with their print version, they also have an online version of the magazine.